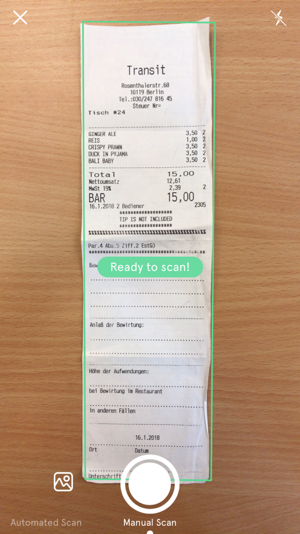 Automated scan: The scan will be automatically triggered when the receipt is ready to be captured. In this mode, you can also manually trigger the scan by tapping on the camera button. 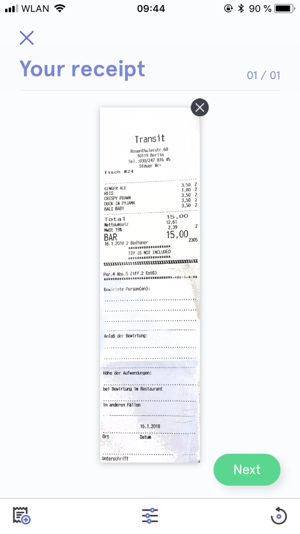 Manual scan: You will need to manually trigger the scan to capture the receipt. Your scan doesn’t have to be perfect, but make sure the receipt is readable for your accounting department to be able to review them. If you face difficulties with the receipt recognition, the photo can be snapped by tapping on the camera button. This works in both manual and automatic mode. 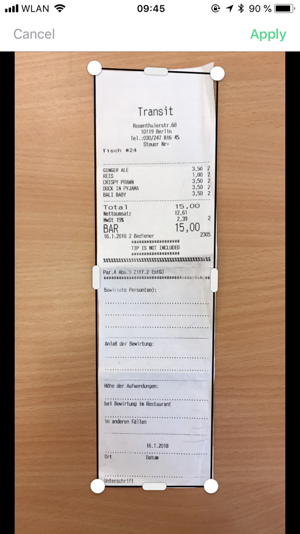 Add receipt scan: choose this option if you want to add more than one scan (front and back side, multiple pages receipts, super long receipts). A maximum of 3 scans is allowed.